For more information on this series see Aachen - January 21st 1981. 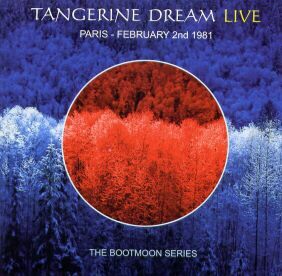 The material on this album is identical to Tangerine Tree Volume 14: Paris 1981, but the CD was mastered from a faulty CD-R, so there is about one minute of music overlaid with heavy noise, starting at 7:22 in track 1 and ending at 0:27 in track 2. Furthermore there are no less than four misspelled tracks in the listing (at least they did not title one track Diamond Dairy...), the track numbering of the second CD is inconsistent, three composition names were omitted in the listing, and one track was renamed, compared to the Tangerine Tree release. Obviously this is a true Monday's product.